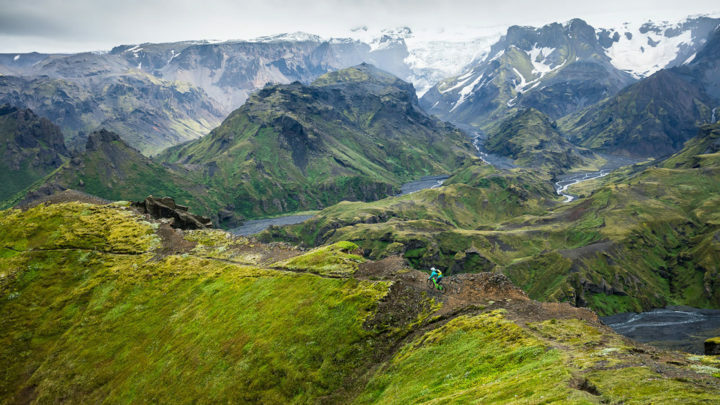 Explore Iceland’s untouched nature off the beaten path with helibiking with one of Nordic Luxury’s talented guides. Journeys begin by flying out of Reykjavik towards the remote lakes and lava fields of Iceland’s backcountry. Then you descend on a dormant volcano where you jump on a mountain bike and start an exhilarating descent leading you to discover otherworldly crater landscapes. Along the way, you’ll explore 5-10 km mix of man-made and natural trails taking you through remote rugged lava fields, jagged volcanic formations, and moss-covered lava rocks. Guides tailor each trip to clients’ abilities. Mountain bikes or fat bikes are available upon request.